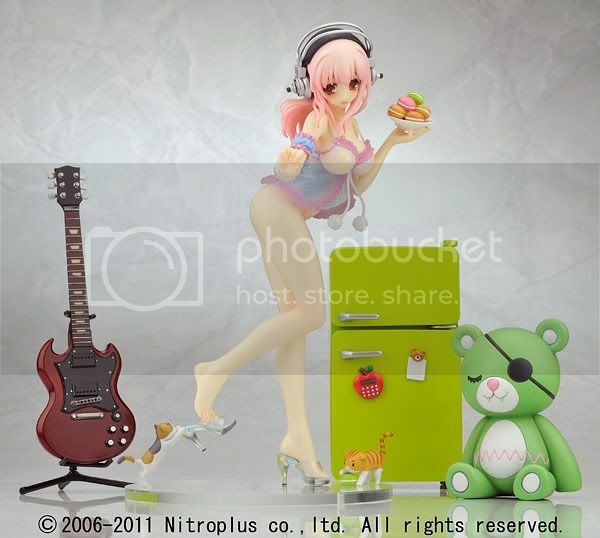 Multiseven et Cetera: Preview: Yamato's 1/8 Creators Labo Super Sonico Babydoll ver. Preview: Yamato's 1/8 Creators Labo Super Sonico Babydoll ver. Yamato is going to release the Super Sonico Babydoll version PVC figure from the mascot of Nitro+ event Nitro Super Sonic. This figure is approximately 210mm in height and will be released in February 2011 around 7,800 yen. 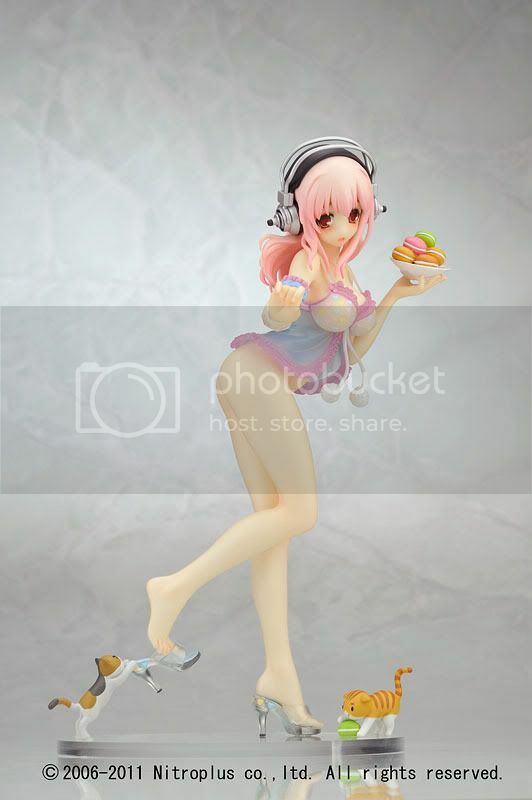 Whoaaaa... this Super Sonico is pretty cute!! 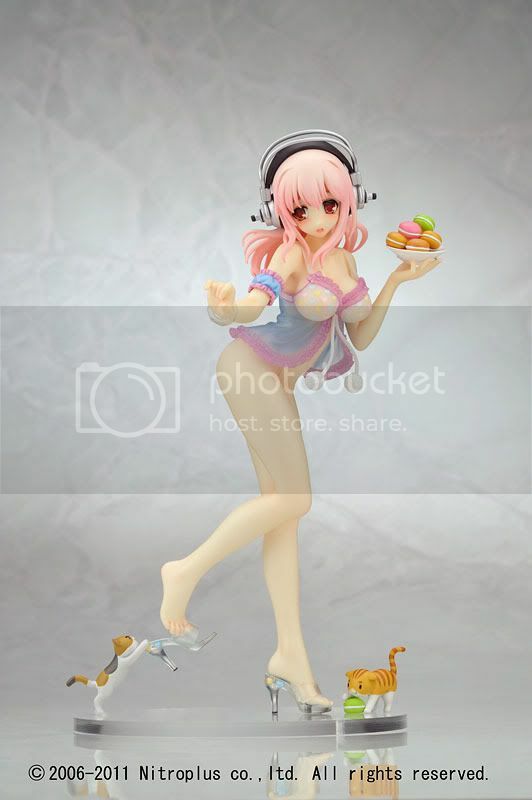 I know her style is a bit different from other Super Sonico figures, but I think this version is unique. Loved it! This Super Sonico figure will be released under the Yamato's Creators’ Labo series. The Super Sonico Babydoll version is also available in a limited DX version and labeled with a price around 12,800 yen. There aren't any difference with the regular version except some extra accessories like a guitar, a bear, and a refrigerator. I think this figure is cute enough without its accessories, so I'll go after the regular one! Super Sonico, here I comes!! !